Up the Boos for your Halloween Happy Hour! Not sure what to serve at your Halloween party or just need a quick pre-game cocktail before Halloween Happy Hour? These 5 Halloween cocktails will have you full of boos and ready to party! You can’t go wrong with this classic recipe, and with just 5 minutes of prep, it’s a snap to serve! Perfect For: A quick cocktail to have with dinner, or as you get ready to go out! Add both ingredients to an ice filled cocktail tin and shake well. Strain into a chilled cocktail glass and garnish with whipped cream and a star anise pod. *Blend 1 can of pumpkin puree, ¼ cup cream, 1 tbsp pumpkin pie spice, and ¼ cup simple syrup (1 part sugar dissolved in 1 part hot water) together until consistency is even and store chilled for up to a week. 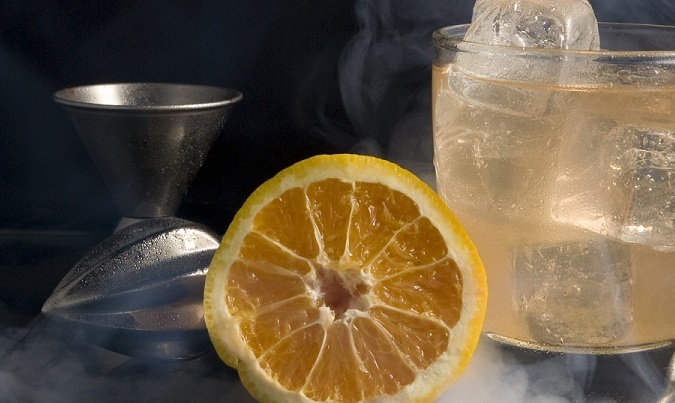 This savory infusion cocktail uses pumpkin infused Clique Vodka and hickory smoke for a delightfully spooky cocktail! Perfect For: Halloween parties! 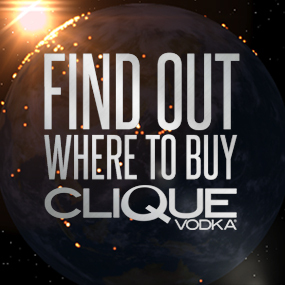 Add pumpkin infused Clique Vodka to an empty bottle and fill with hickory smoke from a smoking gun. Cap the bottle and shake until the smoke disappears. Pour 1 ¼ oz of the pumpkin infused Clique Vodka, simple syrup and freshly squeezed orange juice to a short glass with ice and roll (by transferring contents to a cocktail tin and back) to combine. *For the pumpkin infused Clique Vodka: Cut a sugar or baking pumpkin in half and remove all the seeds and stringy flesh. Sprinkle the pumpkin halves with mix of 1 cup of brown sugar and 1 tablespoon of pumpkin pie spice. Bake in a 400 degree oven for 20 minutes or until soft. Let the pumpkin cool before cubing the flesh and adding to a large glass tank or pitcher with 2 bottles of Clique Vodka and 1 split vanilla bean. Stir a few times a day for 3-4 days or until the infusion has turned a brilliant orange color and smells sweet. Need a sugar fix quick? This pixie dust rimmed cocktail is perfect to satisfy that sweet tooth! Perfect For: Anytime! First rim a cocktail glass with pixie stick dust by rubbing a lime wedge around the rim, and dipping in pixie dust. Then, in cocktail tin shake the other two pixie sticks, vodka, lime and cranberry juice until very cold, and strain into glass. *You can also convert this cocktail to a shooter by shaking and straining 1 oz Clique Vodka, ¼ oz lime, ¼ oz cranberry and 1 pixie stick. This light and fruit cocktail is far more delicate than it looks! Perfect for: Zombies! Chill all ingredients in a cocktail tin and strain into a chilled cocktail glass. To garnish- add a bit of strawberry jam and a drop of grenadine to the inside of the lychee, and squish in a blueberry. Spear the whole thing and balance on the rim. A liquid version of your favorite Halloween candy! Perfect for: Candy Corn Lovers! Shake over ice and strain into a chilled cocktail glass to serve. 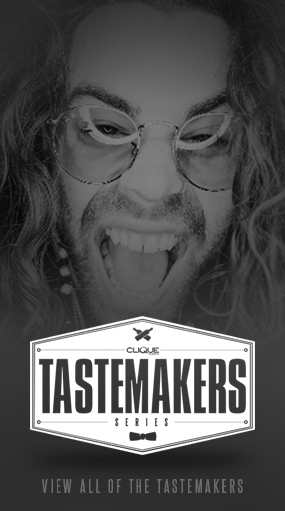 *Add ½ cup candy corn and 1 ½ cups of Clique Vodka to a clean glass jar and shake well. Candy should dissolve in about 3 hours.